9 Compositions | Iridium 2006 is a 9-CD box set documenting what Time Out New York called “last Spring’s epochal run” by the Anthony Braxton 12+1tet at Iridium in March 2006. Braxton has been called a “jazz legend” The New York Times, “an obvious genius” All Music Guide, “an extraordinary musician” Village Voice, and “one of the past forty years’ great radical musical thinkers” AllAboutJazz. His ground-breaking and continually evolving approach to music, developed over the past five decades, embraces a wealth of musical traditions ranging from jazz saxophonists Warne Marsh and Albert Ayler to innovative American composers John Cage and Charles Ives to pioneering European Avant-Garde figures Karl-Heinz Stockhausen and Iannis Xenakis. Fanatically documented by a dedicated following around the world, his multi-faceted career includes hundreds of recordings, an influential legacy as an educator and author of scholarly writings, and awards such as the prestigious John D. and Catherine T. MacArthur Foundation fellowship. Firehouese 12 is happy to announce the formation of Firehouse 12 Records! Founded by Nick Lloyd, owner and chief engineer at Firehouse 12 and Taylor Ho Bynum, composer and cornetist, Firehouse 12 Records will be releasing three records in April. 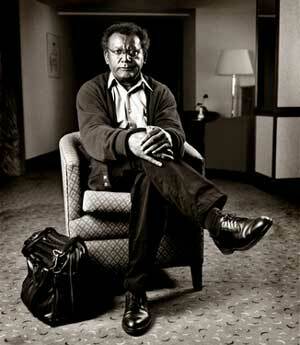 First to be released is a deluxe, 10-disc boxed set with nine audio CDs and one video DVD, documenting famed multi-instrumentalist and composer Anthony Braxton’s complete run at New York City’s Iridium Jazz Club from March 2006. Firehouse 12 will also release Taylor Ho Bynum’s “The Middle Picture”, an album of new music for his sextet and trio culled from his performance as part of Firehouse 12’s Fall 2005 Concert Series as well as a handful of studio dates here. Finally, Firehouse 12 will make available a selection of material recorded during the Fall 2006 Concert Series – Firehouse 12 is currently in discussions with all the excellent musicians who were part of that run of concerts. All these titles will be available for order directly on the Firehouse 12 website, either as physical discs or as downloads. Firehouse 12 will also make downloads available through all the other major on-line providers, and distribute the physical products through a handful of selected stores and Amazon. Please keep your eyes on this space for the Firehouse 12 redesigned website, which will incorporate an area dedicated to the record label as well as announcements of the Spring 2007 Concert Series.